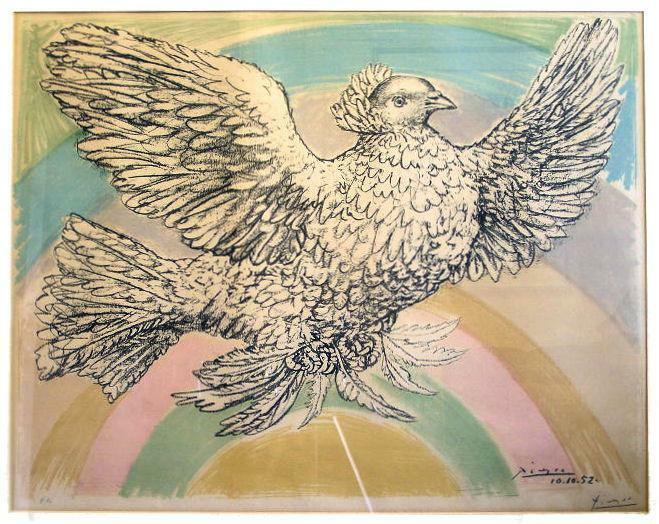 This is a lithograph artist proof on woven paper of Colombe Volant à l'Arc-en-Ciel ( Flying Dove with a Rainbow ) by Pablo Picasso, 1952, from the numbered edition of 200 (238 including proofs). 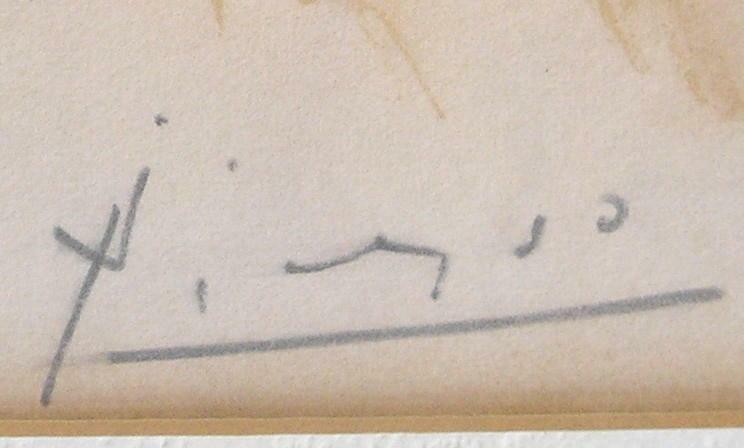 Literature: Bloch 712, Mourlot 214. 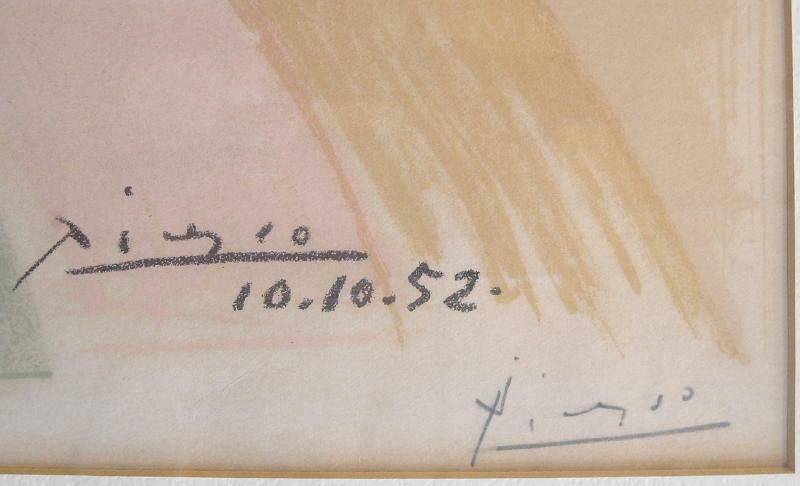 Signed in the stone "Picasso 10.10.52" and signed in pencil "Picasso" and "E.A." (for " epreuve d'artist "). 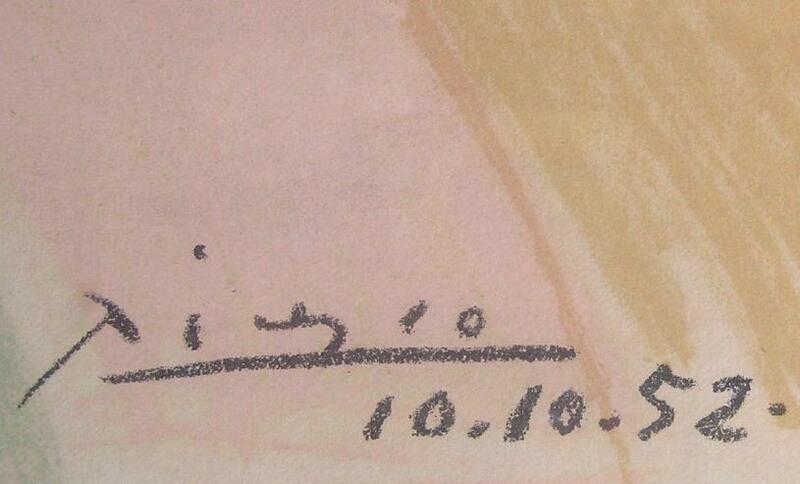 "ARCHES" blind stamp along bottom edge. 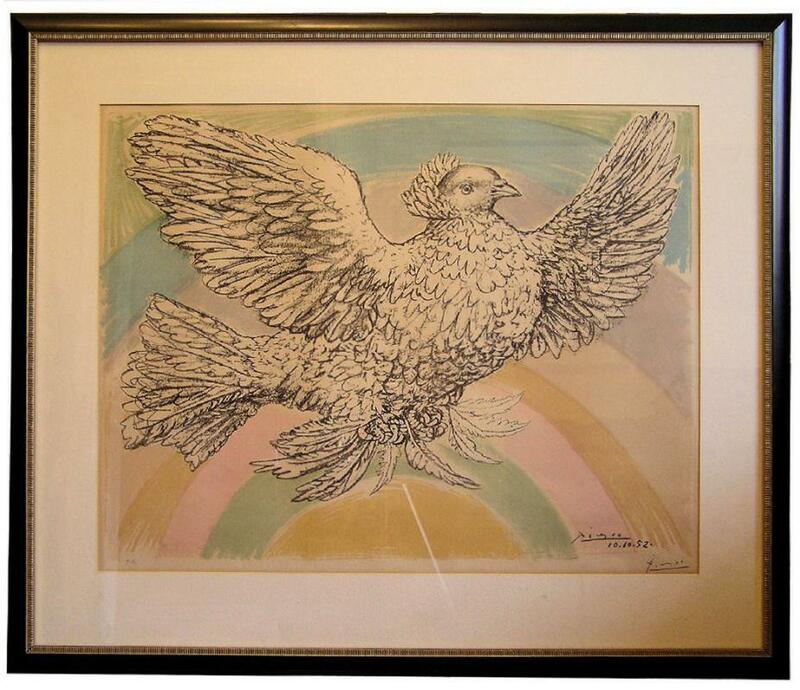 Purchased in its current glass-covered and matted frame in the 1970s from a dealer in Paris France. Frame measures 29.25" x 39.25". Condition is very good. (Please excuse the reflections off the frame's glass.) 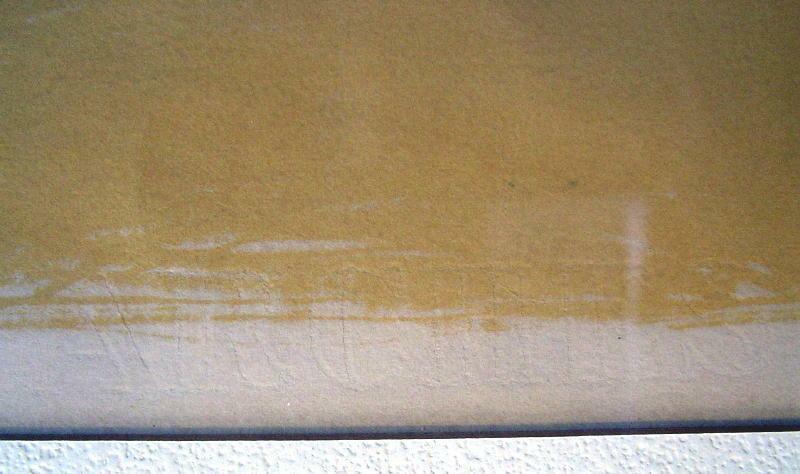 We have not examined the print outside of its frame. 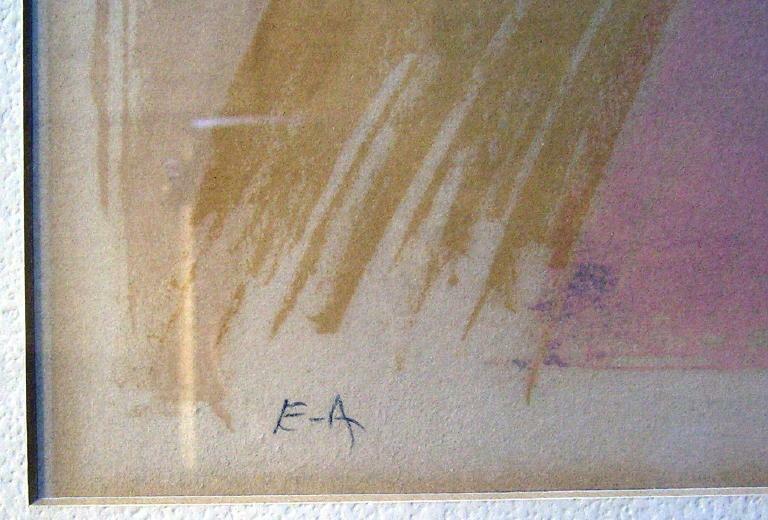 This lithograph (and two Picasso aquatints) are being sold here on behalf of a collector on the Upper West Side in Manhattan (New York, NY) who purchased the piece in Paris in the early 1970s. 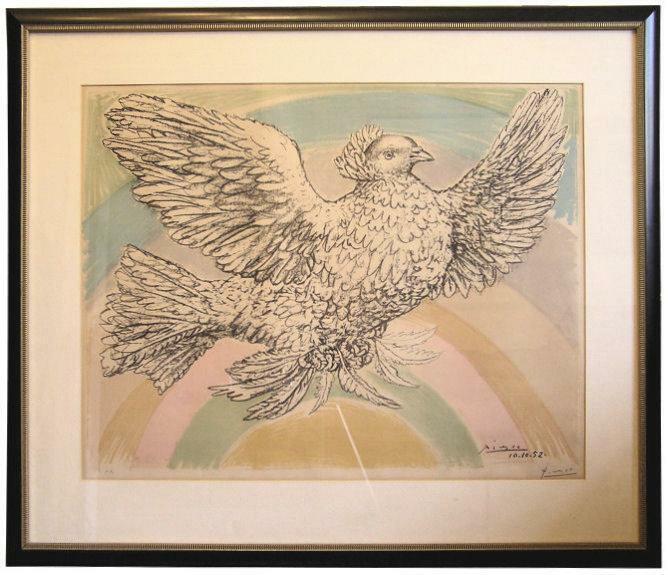 Items Similar To "Picasso Colombe Volant Artist Proof Lithograph (Bloch 712) from 1..."